Our rugged data acquisition systems are built to work in harsh environments and can be distributed close to the sensors. All systems are IP67 rated, waterproof, dustproof, shock resistant up to 100G, and can withstand a temperature range up to -40 °C to 85 °C. Don't let the ruggedness mislead you. 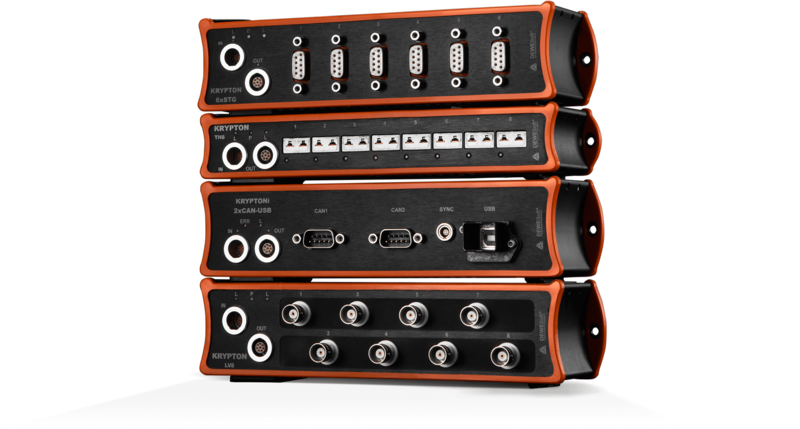 DEWESoft rugged DAQ systems include cutting-edge signal conditioning, are ready for high-speed data acquisition, and can be distributed over a large area. All inputs from voltage sensors, strain gages, IEPE, thermocouples, RTD's, LVDT's, digital, CAN bus, video and more are fully synchronized and ready for real-time data processing. With the power of included award-winning Dewesoft X3 Professional software, you will take your test and measurement experience to another level. All software upgrades are free forever with no hidden costs. Extremely rugged, isolated, IP67 rated, fast, and highly precise and distributable data acquisition system for testing in harsh environments. Rugged and distributed data acquisition modules with EtherCAT interface for analog and digital I/O and IP67 degree of protection. Extremely rugged, IP67 rated data logger and powerful data processing computer. Perfect companion to SIRIUS waterproof DAQ system. Small, highly portable and extremely rugged IP67 data logger for data recording in harsh environments. Signup for Dewesoft newsletter and be informed of the latest innovations, product updates and events.